It’s no secret that we love food and wine. We’ve tried stroopwafels in Amsterdam, eaten empanadas in Ecuador, sampled the wines of North Carolina, and eaten our way through London’s Soho neighborhood. 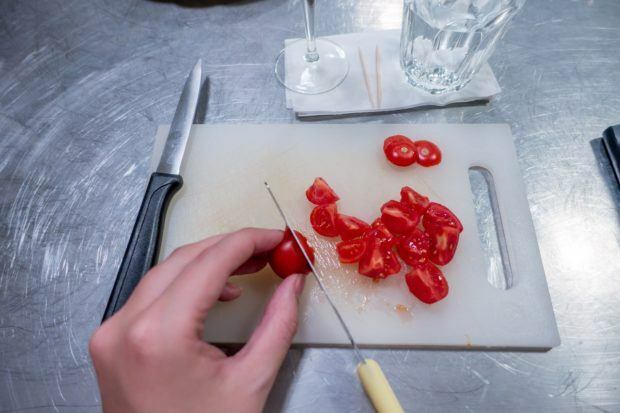 But on this trip, we wanted to experience the perfection of Italian food in a completely different way – a cooking class in Rome. 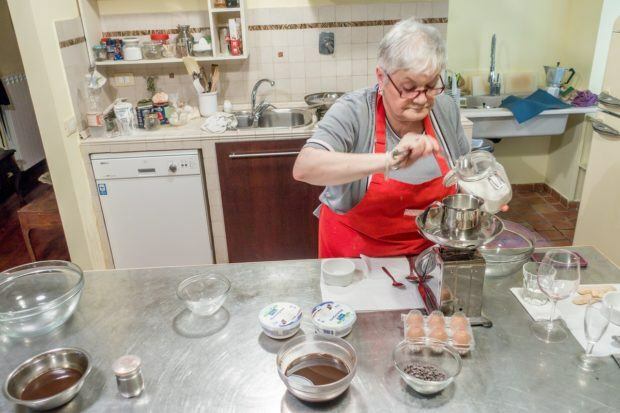 And not just any cooking class, but a cooking class with an Italian grandmother. Chefs and culinary experts are great. They train for years to develop unique flavor combinations, expertly dice and sear, and please the palates of demanding gourmands. 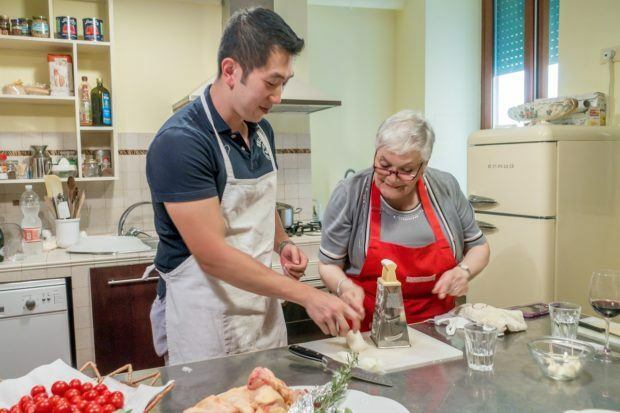 But there’s just something special…something cozy…about cooking with someone’s grandmother in a real apartment in Rome. Her training ground was cooking with her mother and grandmother and her goal was loving her family with food. 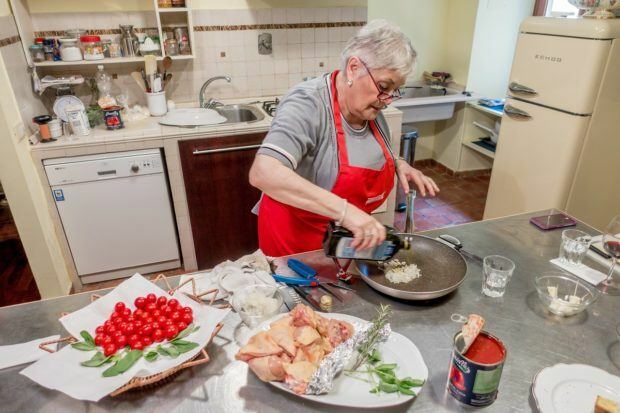 And Eating Italy’s Cooking with Nonna (literally, cooking with grandma) gives visitors a chance to experience some of that love while learning along the way. From the moment we stepped into the apartment, prosecco and conversation were flowing. Our group of eight was made up of people from Hong Kong and all over the US. We talked while we sipped and chopped, getting to know each other over the four hours of our meal preparation and dining. Though there was plenty to do to create the fabulous meal, there was also plenty of time for laughing and talking about our love for Italy and our favorite things to do in Rome. The first order of business was reviewing our menu – bruschetta, gnocchi with tomatoes and basil, and chicken with peppers. 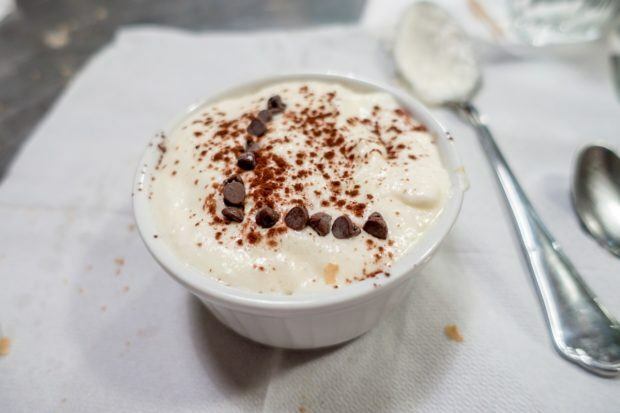 And no cooking class in Rome would be complete without the quintessential Italian dessert – tiramisu. Food heaven. 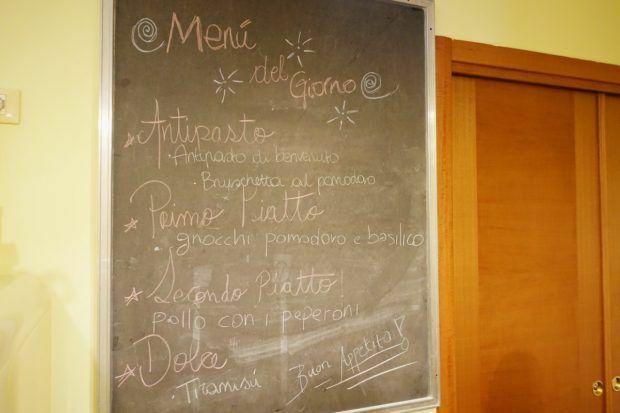 In fact, when we went around the room to name our favorite Italian food, everyone named something that was on our menu (or in our glasses) for the evening. We were a happy group. 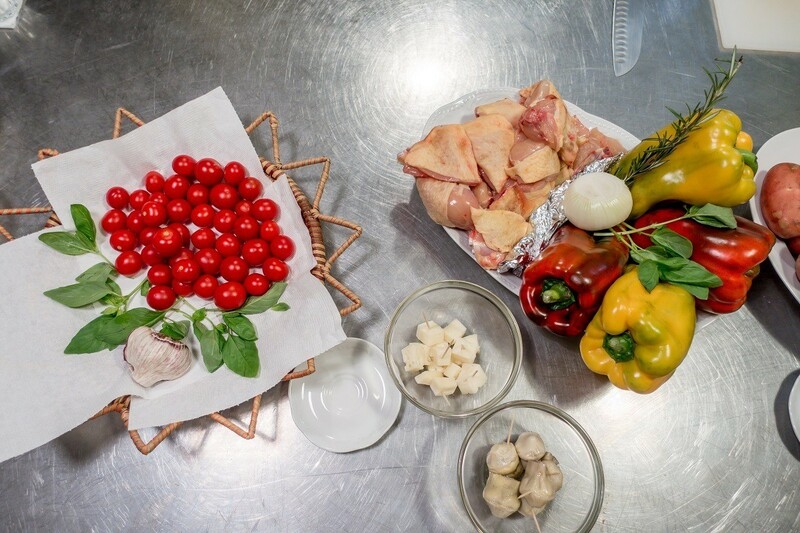 Our first tasks (after munching on a few snacks) were getting the chicken and peppers on the stove along with starting the sauce for the gnocchi so the flavors would have plenty of time to blend. Nonna and her assistant/translator did much of the heavy lifting for us, but true Italian home cooking includes a lot of steps. In order to have everything ready at the appropriate time, it was a well-choreographed evening of doing every task at just the right time. And we loved every minute of it. After the first and second courses were underway, we took a step back to work on the bruschetta. One of the things I love most about Italian food is the way the simplest but best quality ingredients are combined to make something spectacular. In this instance, a basic blend of tomatoes, garlic, olive oil, and salt and pepper became perfection on a good piece of crusty bread. Then it was time to move on to the gnocchi itself. Although gnocchi is Lance’s favorite Italian food, we’ve never attempted it at home because it’s kind of intimidating. 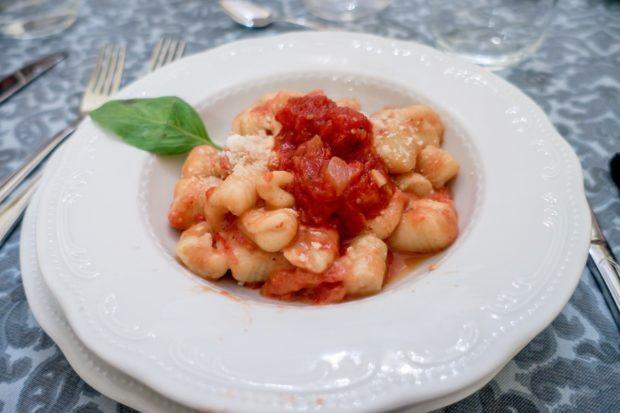 Nonna expertly made making gnocchi look easy. But still, I have to say, making gnocchi is no joke. While it’s not particularly complicated, it takes a kind of finesse that is probably best left in the hands of grandmothers with lots of experience. After boiling and ricing several pounds of potatoes, you add flour and eggs until the dough is just the right consistency (this is the finesse part). Then you roll it out into the appropriate thickness, cut it, and roll it again so that it gets those characteristic grooves. After that, the gnocchi needs to be cooked quickly in order to maintain its delicious potatoey-pillowness. Heaven. But I’m very glad our first attempt was under the watchful eyes of an expert in a cooking class. Along the way, we also made our own individual tiramisu. With the sugar, coffee, cocoa powder, and oh-so-much custard, it was a lot of fun to make. We all learned quickly how fast ladyfingers have to be dunked in the coffee in order not to disintegrate. Working on the tiramisu custard. Lots of eggs required. After a fun evening of chopping, ricing, seasoning, and sipping prosecco, we all sat around the dinner table to enjoy the results of our work. With the quality of the ingredients, the expertise of our teacher, and the lots of fun and laughter that went into our cooking, this meal was one of the best I’ve had. 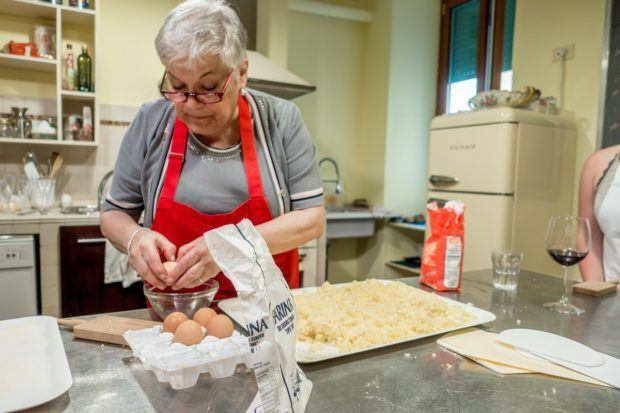 We all enjoyed every bite and toasted to the success of our cooking class in Rome with Nonna. 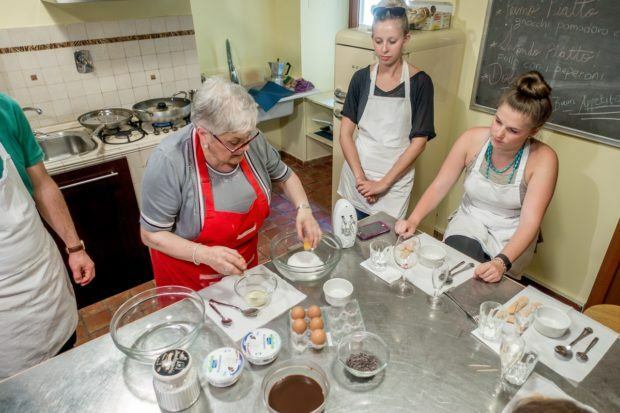 We were the guests of Eating Italy for their Cooking with Nonna class in Rome. All opinions of the fun, fresh, and delicious are our own. Laura Longwell is the co-founder of Travel Addicts. She’s on her 9th pair of travel walking shoes and has had motion sickness on 5 continents. When she’s not traveling (or writing about travel), you’ll find her in the garden. 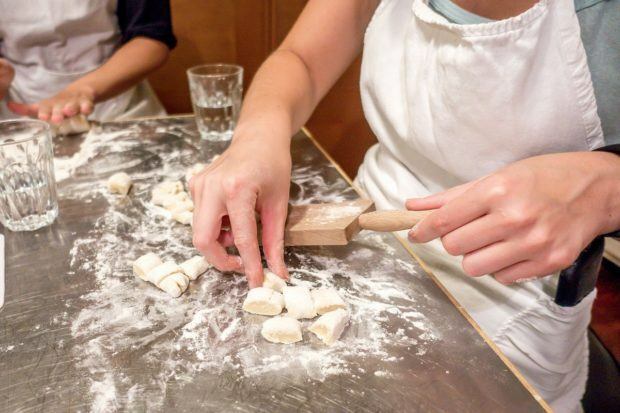 What do you think about Food is Love at this Lively Cooking Class in Rome? This looks so yummy! The food in Rome is so delicious! We were there in October, dined out every evening and everything was great and very uniquely Roman!